At NPE2015: The International Plastics Showcase, SPI: The Plastics Industry Trade Association and the SPI Bioplastics Division announced that Eastman Kodak was the winner of this year’s Innovation in Bioplastics Award for its creation of a biotoner that contains greater than 90 percent biobased and biodegradable materials. Orlando, Fla.—SPI: The Plastics Industry Trade Association and the SPI Bioplastics Division announced Wednesday that Eastman Kodak was the winner of the 2015 Innovation in Bioplastics Award for its creation of a bio-toner, designed for the electro-photographic printing industry that contains greater than 90 percent biobased and biodegradable materials. The announcement was made at NPE2015: The International Plastics Showcase, hosted at the Orange County Convention Center in Orlando, Fla.
Eastman Kodak, headquartered in Rochester, NY, created its award-winning biobased and biodegradable bio-toner using low-carbon-footprint, naturally-advanced Ingeo™ resin, which is comprised of polylactic acid (PLA) and derived from renewable and naturally abundant resources and natural waxes that only contain a small amount of inorganic material. Having such a high percentage of PLA makes the de-inking process for this material much simpler, and the resulting waste material that’s leftover contains mostly lactic acid, which Eastman Kodak noted is a useful feedstock for other plastics products and stands in stark contrast to typical residue leftover after standard de-inking processes. According to Eastman Kodak, toner resin worth approximately $1 billion is consumed each year in the printing industry for electro-photographic toners. One third of that goes into chemical toner production of which color toner production accounts for 98 percent. Bioresins have limited impact in the industry, accounting for only one percent of color toners and 10 percent of monochrome toners, but developing economically-viable biotoners that can be used at 100 percent incorporation, as Eastman Kodak’s innovative biotoner aims to do, can capture greater market share. “We congratulate Eastman Kodak because they did something very new and we hope that their success helps other companies look to bioplastics for the solutions they can bring,” Edwards added. According to Eastman Kodak, their biobased toner will be widely available by May or June this year. 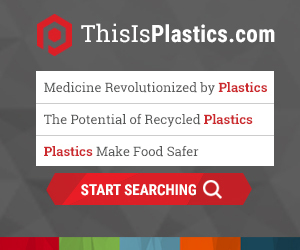 For more information on the SPI Bioplastics Division, click here.